Following sell-out houses at Fringe World 2017, One Fell Swoop Circus return to FRINGE WORLD with By A Thread, 12-25 February 2018, bringing with them the signature 30 metres of white rope which was fondly remembered from death-defyinging acts in previous years. Using no nets or safety harnesses and sheer adrenaline, By A Thread offers rich visuals of inventive aerial acrobatics and spectacular skills from some of Australia's most talented and circus artists. 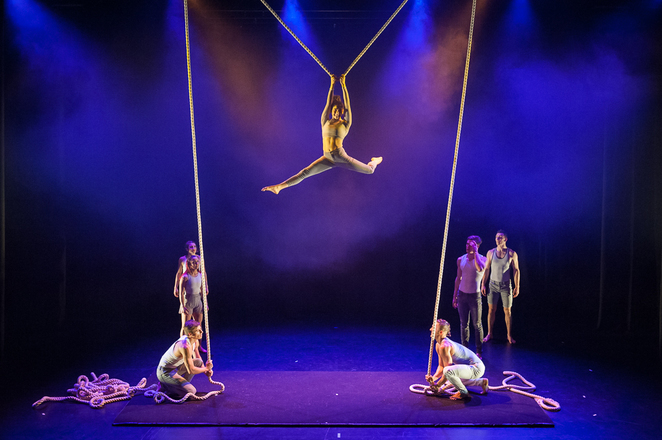 Up to seven performers at a time combine dynamic acrobatic skills and poignant physical theatre in choreographed exploration of tension - physical and emotional. The performers are hoisted and swung by one another to create striking tableaux and breathtaking air dances. The actions of one acrobat affect and implicate the movements of others in a precise negotiation of cause and effect - all movements are intricately times and calculated to ensure the utmost precision. The By A Thread ensemble emerges with a cutting-edge contemporary circus piece on an innovative aerial apparatus. The rope is a physical manifestation of the trust implicit in any relationship, acrobatic or otherwise. The performers use this metaphor for connectedness to explore the give and take, balance, and dynamics of relating to one another. 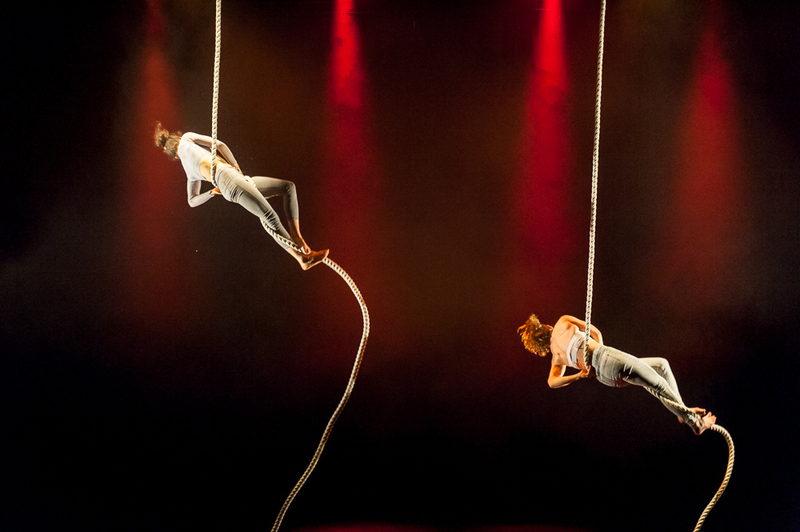 Leaving the realm of the solo act where the performer relies on their individual strength; our acrobats rely on the strength of the group to hold the end of the rope, keeping them aloft. The collective is the most important part of this ensemble - the group must act as one to ensure that all goes to plan. 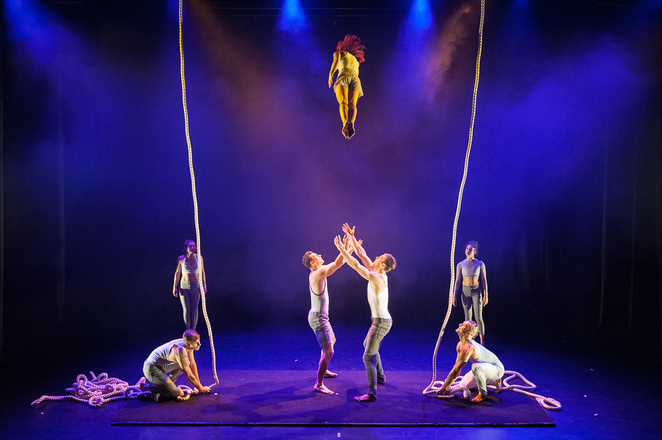 "We were so thrilled by the positive response we had from Perth audiences last Fringe that we couldn't resist bringing back the reworked version of By A Thread to share with WA", says Jonathan Morgan, company spokesperson, One Fell Swoop Circus.